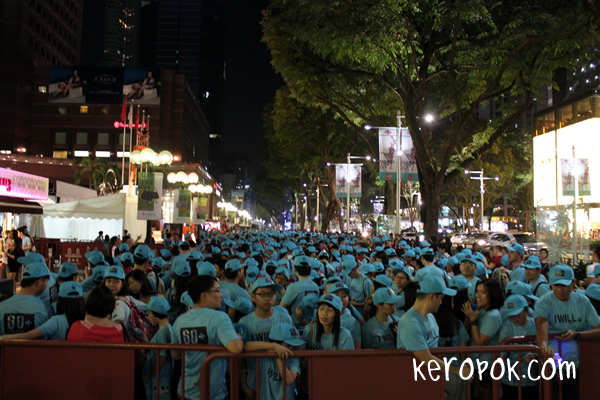 I was in Orchard Road and realised there was so so so many people in blue t-shirts around. Out of curiosity, went to take a look. 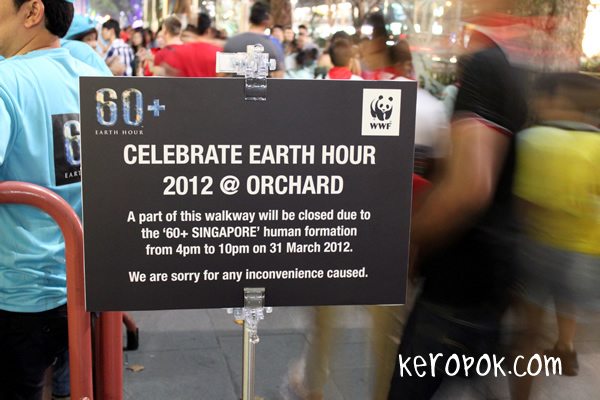 The Earth Hour folks are having a mass gathering. It was really a lot of people around! We at home do our little part, by making our daily lives more earth friendly. We make our own statement daily instead.